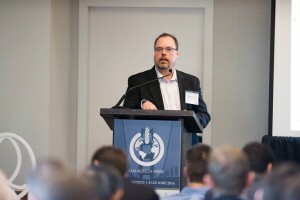 As a follow up to the article we ran in June on the AgTech Week panel on non-dilutive funding Carlos Gutierrez (Larta) and Scott Dockum (USDA) led, we are running the questions their audience asked, and the answers they provided. Because entrepreneurs need all the help they can get. Are we too far along in our development to apply to SBIR? Can a Canadian or UK company apply? Can a company targeting the urban community apply for SBIR? Is there a direct to Phase II at USDA? What type of business support can an awardee expect from the USDA? Carlos Gutierrez – “Larta, in partnership with USDA SBIR, provides both Phase I and Phase II SBIR awardees with a hands-on acceleration program tailored for each stage of funding.